Does Tremron sell direct to homeowners and the public? Yes, Tremron brick pavers, retaining walls, cleaners, sealers, and other hardscape products are available for purchase by homeowners. 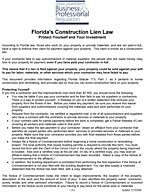 Under Florida's Lien Law, any Supplier supplying material to a jobsite that has not been paid has the right to file a lien against the property. How do I control ants and weeds? Using polymeric sand is the optimal method for preventing ants and weeds from forming in between the pavers. How can I find a reliable paver installer? Your Tremron sales representative can assist you in finding a qualified and reputable local professional paver installer for your project. Why are certain paver and retaining wall block shapes only available tumbled? There are many styles of pavers to choose from. Certain pavers are not designed to be tumbled. 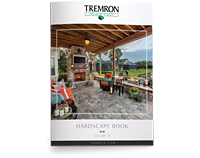 What is the warranty for Tremron pavers and hardscape products? Tremron's Warranty is valid for 25 years or as long as you own your home. The Warranty is valid providing that the product was installed correctly on a properly drained base with clean material. Proof of Purchase is required. Polymeric sand is a great addition to any paver installation. Polymeric sand can inhibit weed growth, ants and other things that may get lodged in between the joints of your pavers. What is the difference between pavers and paving slabs? Paving slabs generally have larger dimensions than pavers and due to the aspect ratio, are not suitable for vehicular traffic. Paving slabs are better suited for use on backyard patios and pool decks. How do I open a contractor account? The first step is to fill out a credit application. Click here credit application to download a credit app. Submit the credit app by email or fax and we to get the process started. I am a contractor, how do I obtain Tremron marketing materials? Your Tremron sales representative is there to provide you with any resources needed. Where can I download a credit application? Download a credit application here. Submit the credit app by email or fax. What is your delivery area for hardscape products? Tremron delivers pavers and hardscape products throughout Florida, Georgia, South Carolina, North Carolina, and Alabama. Can I pick up my order at a Tremron plant? Customers with the capability of hauling heavy loads are able to pick up orders at any of the five Florida and Georgia Tremron plants located in Jacksonville, Arcadia, Miami, Lakeland or Atlanta. Each cube of brick pavers and retaining wall products weigh approximately 2500-3500 pounds and are too heavy for most standard pickup trucks and trailers. How tall can I build a retaining wall? Retaining Walls can be built up to 4' in height without requiring an engineered installation plan. Retaining walls above 4' can be built according to a stamped engineered plan. The engineer will take into account all the requirements of the installation to prevent the project from failing. What is the PSI of Tremron pavers? Broken pavers will be covered by warranty from the manufacturer, but generally does not include chipping, splitting, or any other breakage caused by impact abrasion or overloading. The manufacturer only covers replacement of the material and does not cover shipping or re-installation costs. The paver manufacturer specifications for pavers (not including 1 inch paver tiles) shall be ICPI Certified to meet the following requirements set forth in ASTM C 936, Standard Specification for Interlocking Concrete Paving Units. Are 1" pavers safe for driveways? No, only full size pavers should be used in areas for vehicular traffic. Why do my pavers have a chalky, white surface residue known as efflorescence? Efflorescence is a natural process that occurs with almost all concrete and masonry products. Pavers exhibiting signs of efflorescence are NOT defective and since efflorescence is a natural process it is not covered under warranty. Efflorescence is created when the calcium oxide naturally found in the cement mixes with water to form calcium hydroxide and then is leached to the surface of the paver where it comes in contact with the carbon dioxide in the air and then forms calcium carbonate which forms the white, chalky residue referred to as efflorescence. Applying bleach to a paver job is not recommended. Common dish soap can be used in conjunction with a light pressure wash.
Can I use muriatic acid on my pavers? No, muriatic acid will damage the surface of the pavers and cause pitting to appear. Will my pavers fade over time? Over time all pavers will begin to fade if left unsealed. Sealing your pavers with a Paver Sealer after the natural process of efflorescence is complete will provide a barrier of protection against UV rays and harsh climate. How do I remove oil stains and tire marks? Use Paint, Tar, and Rubber Remover to remove tire marks from pavers. Use Professional Grade Oil and Grease Cleaner to remove oil and grease stains from pavers. Sealing your pavers will help prevent oil stains and tire marks and make them easier to remove in the future. Should my pavers be sealed? It is not necessary to seal the pavers. Sealing does however retard fading the color of the pavers and provides a measure of protection from some stains. Before sealing, pavers must be clean and dry. It is recommended that you wait at least 30-60 days after installation before sealing. Once sealed, you will need to reseal approximately every three to five years. How often should I seal my pavers? The frequency of sealing pavers depends on the type of sealer used. Make sure you follow the guidelines of the sealer manufacturer. Sealing a paver project too soon between intervals can cause discolored pavers. How long should I wait to seal my pavers after installation? There are certain types of sealers that can be applied instantly to a paver job. We do recommend waiting 30-60 days after a paver job has been installed to apply sealer. Can I use bleach to clean my pavers?